Peter Storr is a renowned Dressage trainer and rider who works closely with Olympian Carl Hester. He is warm and engaging and focuses on keeping the training simple, current and horse friendly. He has trained many successful horses and riders, including the victorious British Pony Dressage Team at last year’s Europeans, and Phoebe Peters, the 2013 Pony European Dressage Champion and world record holder in all three Pony tests. Peter has many titles to his name, including National British Dressage Champion at all levels, including Grand Prix in 2000 and 2001, and Supreme Young Horse National British Champion (on Royal Concert). He rode Gambrinus for Britain at the World Equestrian Games in Jerez in 2002, at the Europeans in 2001, was Reserve for the British Sydney Olympics Team in 2000, and was shortlisted for the British Athens Olympics in 2004. Peter is a sought after FEI 4* Dressage Judge, National Dressage Judge, and Young Horse Judge. Dressage4Kids is very excited to welcome him as instructor for the Dressage4Kids FEI Pony Clinic at Hilltop Farm May 25-27. 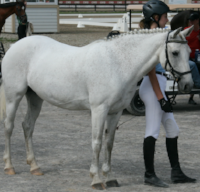 This clinic is for riders ages 16 and under (FEI age rules) who are riding on ponies. Preference will be given to those competing at or near the FEI Pony level. 10 riders will be selected to participate in this clinic. Unless Dressage4Kids get some sponsorship (we are working on that), the clinic fee will be $600 for the three days plus stabling fees. Stabling fees are $50/night on straw or $65/night on shavings (we’ll need to know ahead of time which you prefer). 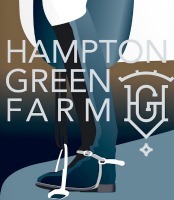 The $600 clinic fee will include three riding lessons, lunches for riders, a lecture on test riding, commentary of videos of top pony riders, and one auditing ticket for one parent or trainer. The auditing fee is $25 per person per day. 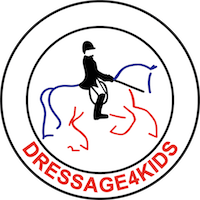 Dressage4Kids TEAM members will be invited to audit for free.